General Electric’s US$915 million acquisition of field service management company ServiceMax on Monday should help enterprises combine what GE does for industrial products and assets with more tools for those who work on them. GE Digital, the division that’s buying ServiceMax, sells software and services for connecting industrial assets and products in the field, then collecting and analyzing data about them. ServiceMax has a cloud-based platform for tasks like scheduling maintenance calls and making sure the right technician is on each job with the right part. That service management system will get smarter when GE Digital adds its analytics and insights, the companies said. Using its cloud-based industrial internet platform, Predix, GE Digital plans to develop more applications for service delivery. The buyout will also bring ServiceMax into new industries, they said. “This acquisition builds upon our ongoing efforts to enhance our overall technology stack around the Predix platform and advance our Industrial Internet vision,” GE Digital CEO Bill Ruh said in a press release. Predix began as an internal tool that GE used to glean insights from data coming in from systems the company made, such as jet engines. Now, GE Digital sells it as a kind of operating system for the internet of things for others to take advantage of their own industrial data. Combining intelligence about industrial assets in the field with software to manage the servicing of those assets should be a natural fit and a boon to efficiency. ServiceMax is 10 years old and a big player in its field, with customers including companies in manufacturing, retail, energy, aerospace, and other businesses. 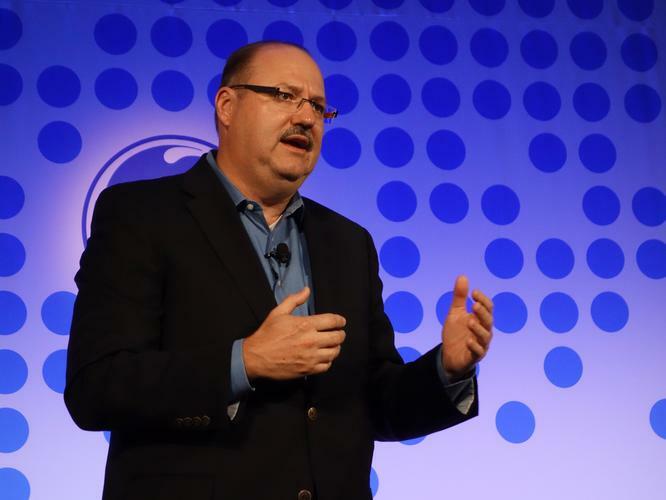 GE itself says it has been a big user of ServiceMax internally. The latest acquisition dovetails with GE Digital’s recent purchase of Meridium, a provider of asset performance management tools, which also will be integrated into Predix. The ServiceMax acquisition comes just a day before GE’s Minds + Machines conference in San Francisco, where the company will give an update on Predix and the ecosystem of developers around it. On Monday, GE Digital announced a program to help independent software vendors use Predix as the foundation for new applications. The acquisition is expected to close in January.